Dr. W. Barnes Tatum died Friday at Beacon Place in Greensboro. He was 78. Barnes was professor emeritus of religion at Greensboro College, where he taught for 36 years. He retired in 2009 as the Jefferson Pilot Professor of Religion and Philosophy. Barnes and his wife, Linda, bought their home at 1112 West McGee Street in 1993. “As a colleague, Barnes was generous with his time, his advice, and his humor,” recalled another former Religion Department colleague, John Woell. 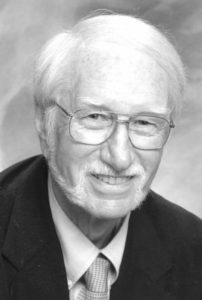 As a scholar, Tatum was active in the work of the Jesus Seminar, Westar Institute, a group of several dozen scholars and lay people founded in 1985 and devoted to determining whether the sayings and acts of Jesus were historical fact. In that capacity, he wrote “John the Baptist and Jesus: A Report of the Jesus Seminar” in 1994. His interest in the depiction of Jesus in film led him to be featured as a commentator on American Movie Classics (AMC), the History Channel, the BBC, and EO Television. Click here for a news report and an obituary, both from the News & Record. This entry was posted in Condolences, Greensboro College, McGee Street, Neighbors and tagged Barnes Tatum. Bookmark the permalink.